He’s the man of mystery who fought along the Amazon Princess, Wonder Woman! Actor Eugene Brave Rock joins me to talk about his role as Chief Napi in this summer’s blockbuster film. PLUS – your preview of the Cincinnati Comic Expo! 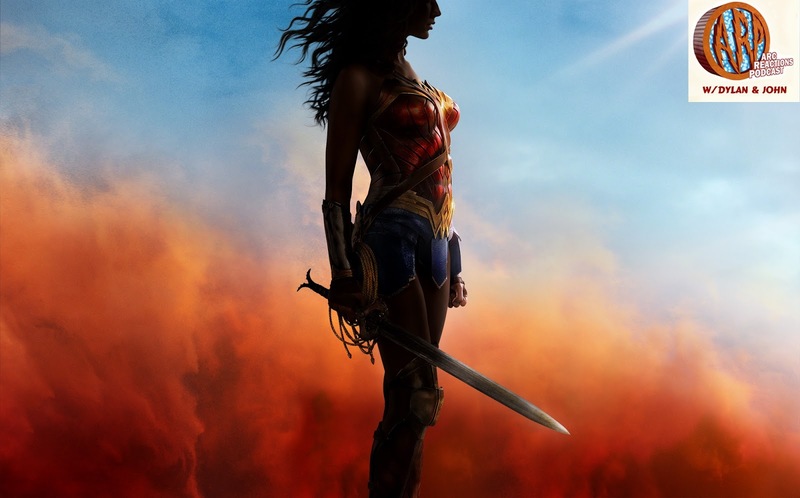 Join us as we review our own thoughts leading up to the Patty Jenkins directed film. Then, listen in on our conversations immediately before and after watching the movie. We’re Discussing Comics. We’re discussing WONDER WOMAN! Episode 53 features reviews, commentary, and more. Featuring Kyle Jones, Clarence Brown, Lee Shackleford, and Sergio Lugo, II. Discussing Who is made possible thanks to the support from our listeners. Become a fan of the show by liking us on Facebook, following us on Twitter, find us on Instagram, and more! Subscribe to the show on Apple Podcasts, Google Play, PlayerFM, Stitcher, and others! This week the guys sit down and give Wonder Woman their full service, we mean review. Wonder Woman is the best movie in the #DCEU to date, and it’s more than just being the tallest midget. And at the height of their ecstasy for Gal Gadot as Princess Diana, Ben makes an announcement that breaks all our hearts. So sit back and enjoy!